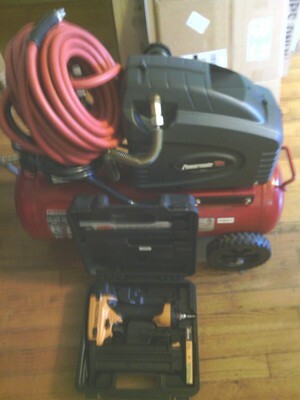 120V Black&Decker belt and orbital sanders. Have a few miscellaneous sheets for belt and a few sheets precut for orbital on the rougher side (60-300 grit range). May need to buy appropriate roughness sheets depending on the application.